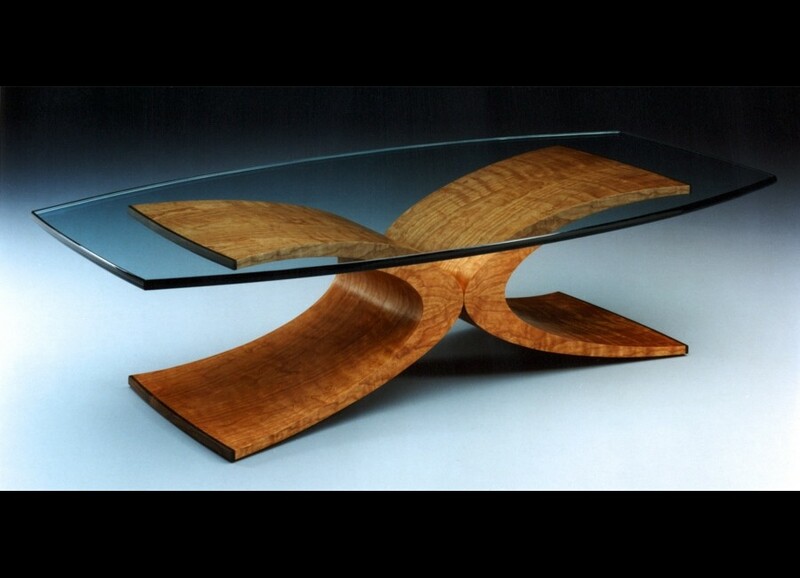 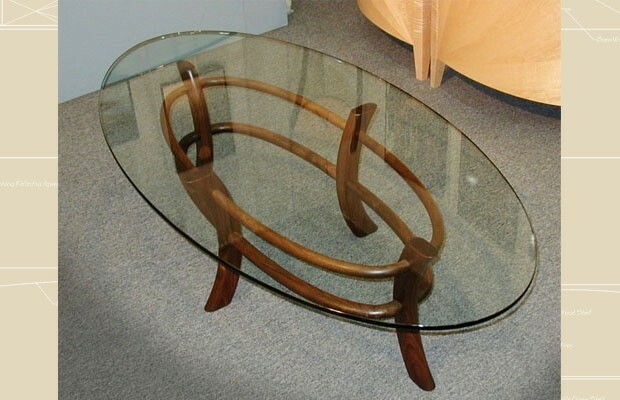 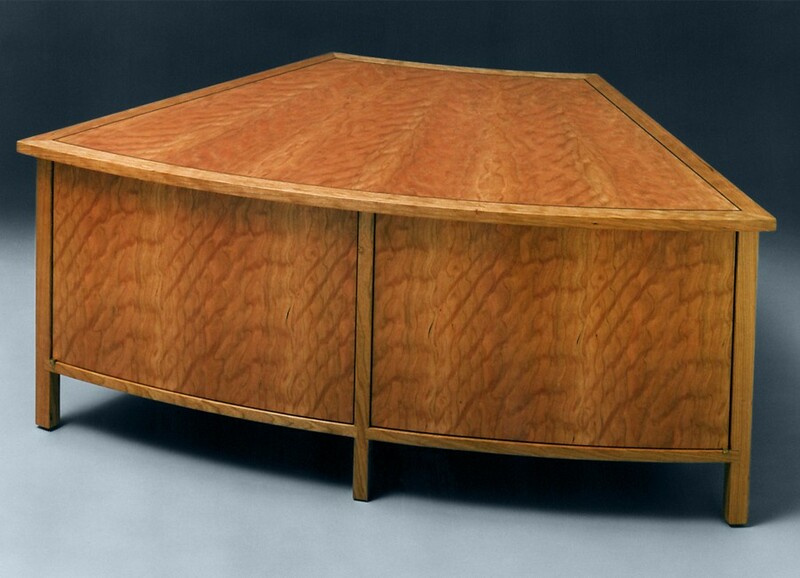 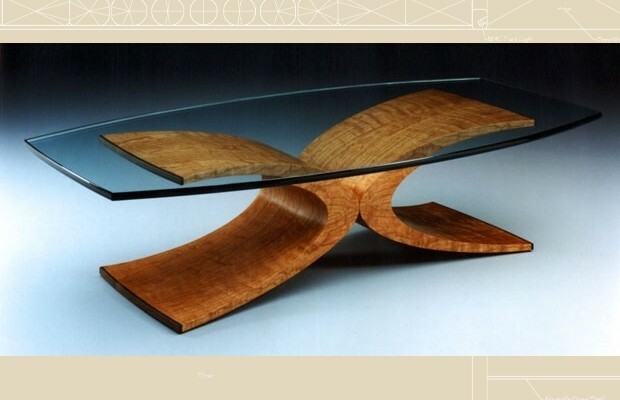 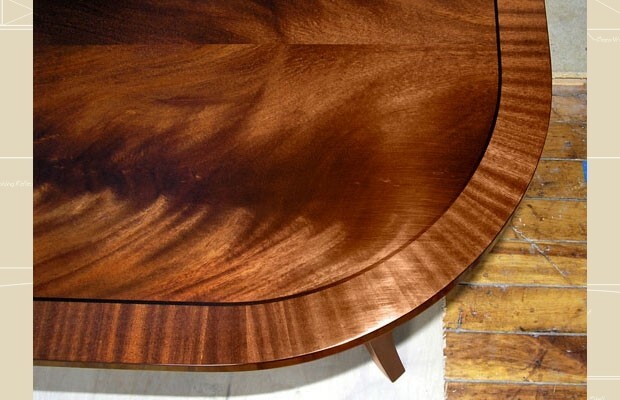 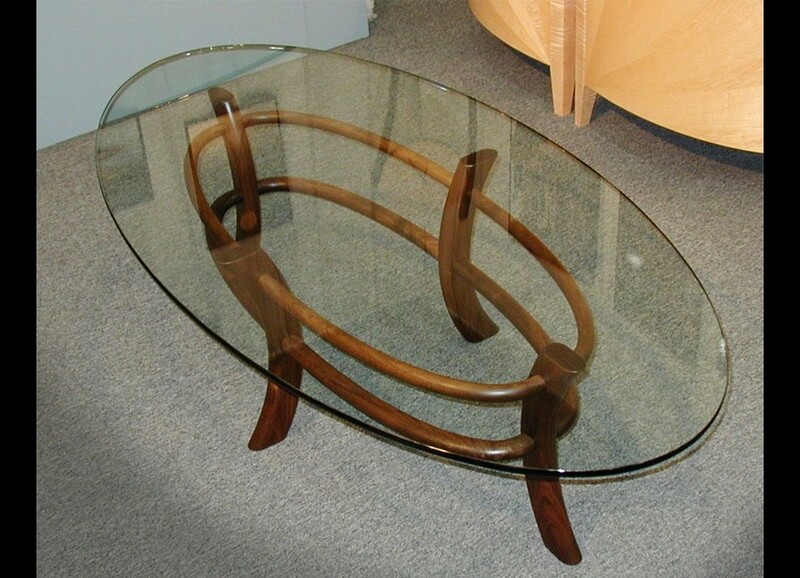 Oval Coffee Table — Walnut with ½" glass top. 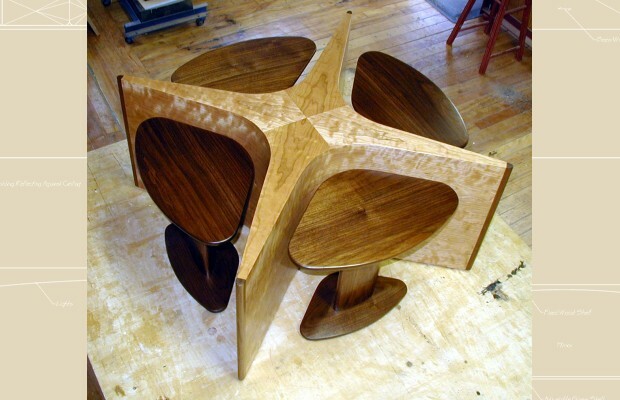 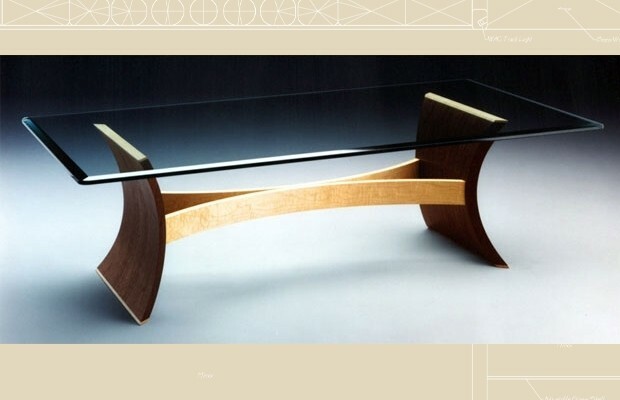 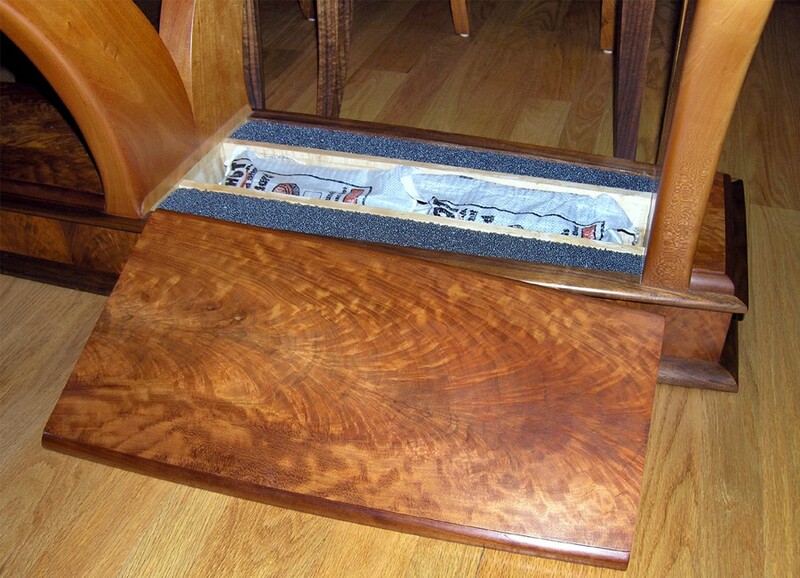 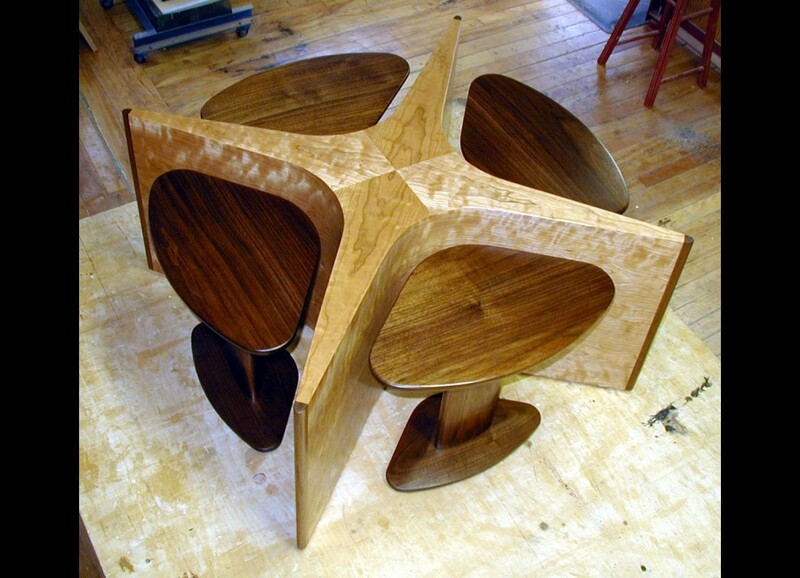 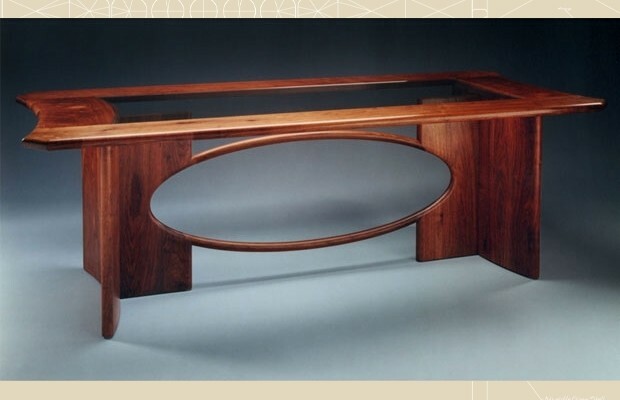 Star Coffee Table — Figured Cherry with Walnut including four separate carved Walnut Tables. 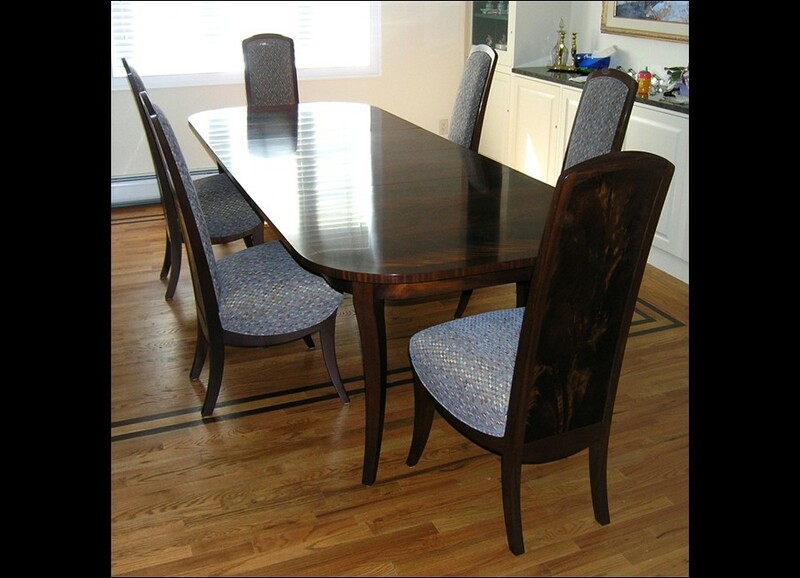 Please click on images below to view details. 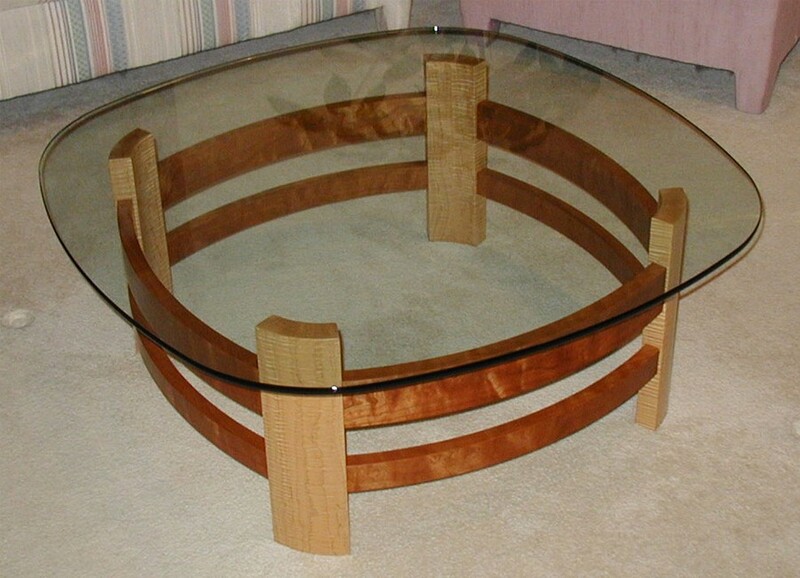 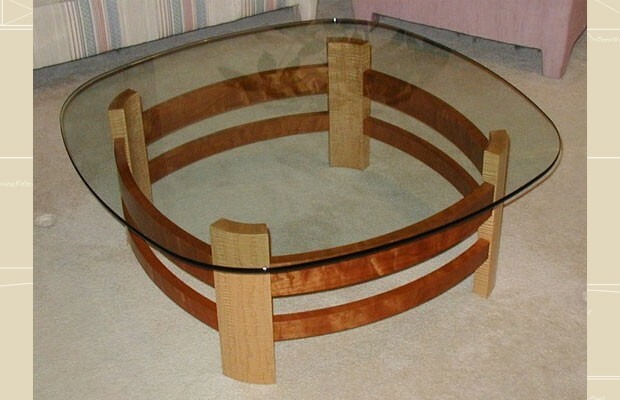 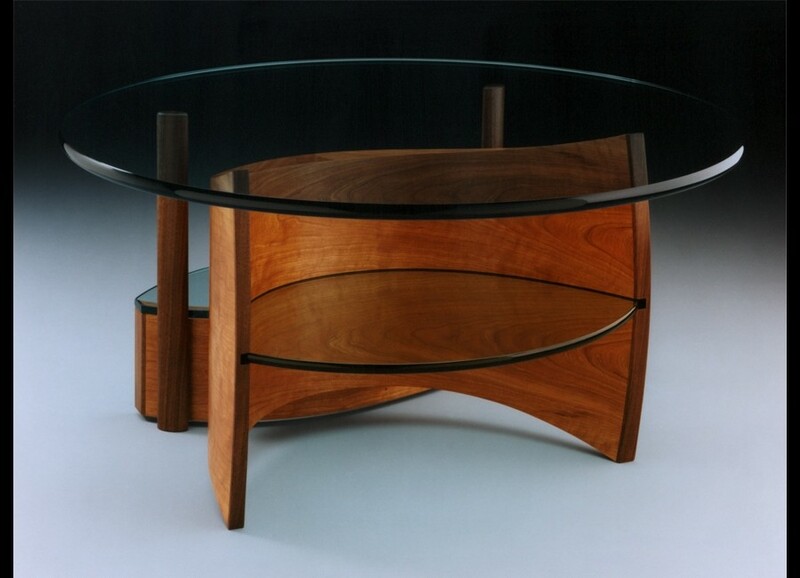 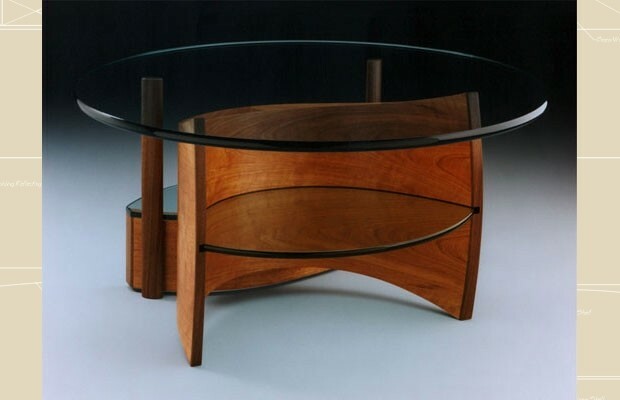 Rounded Square Coffee Table — Cherry with Maple. 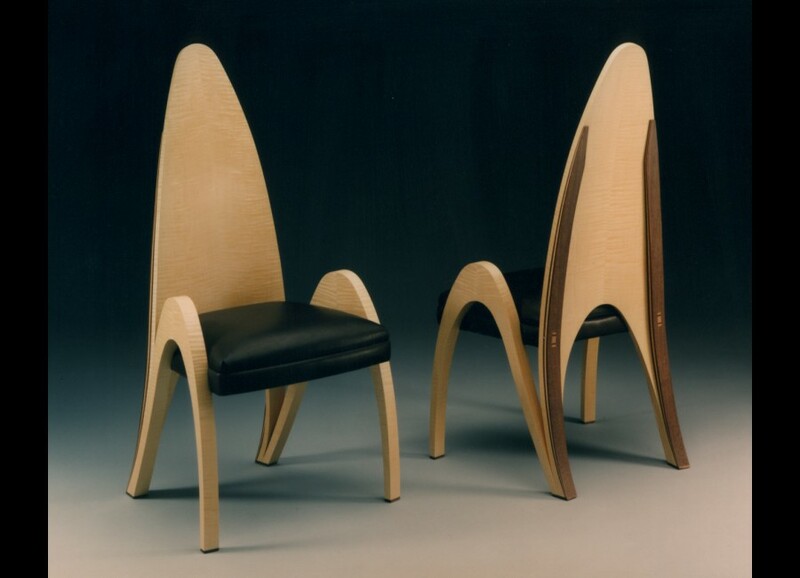 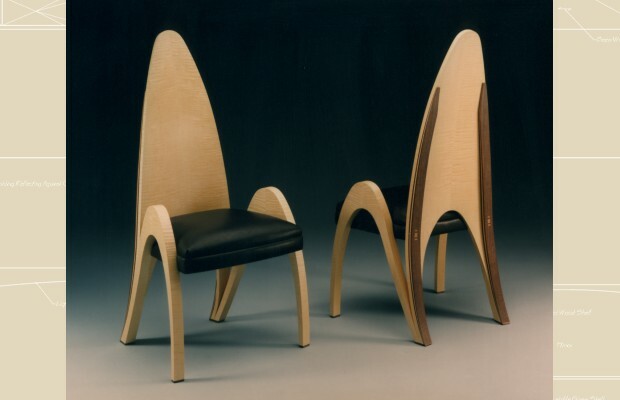 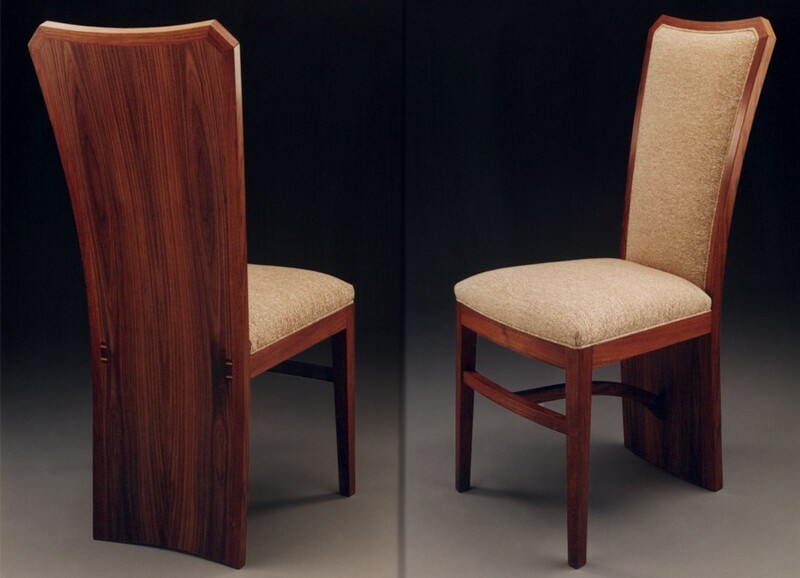 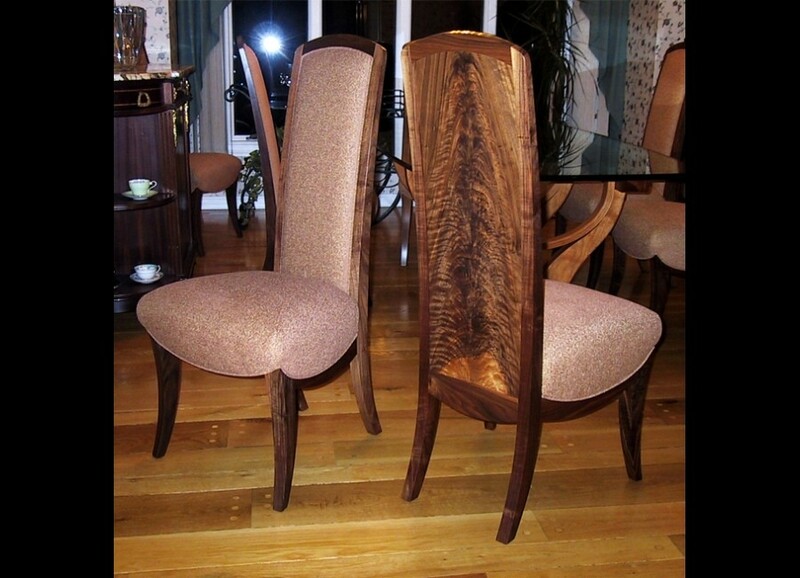 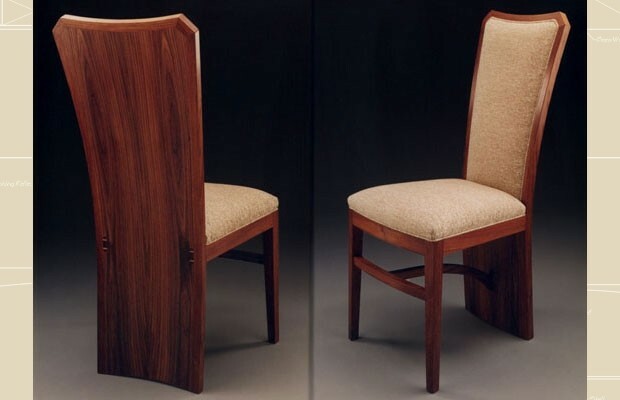 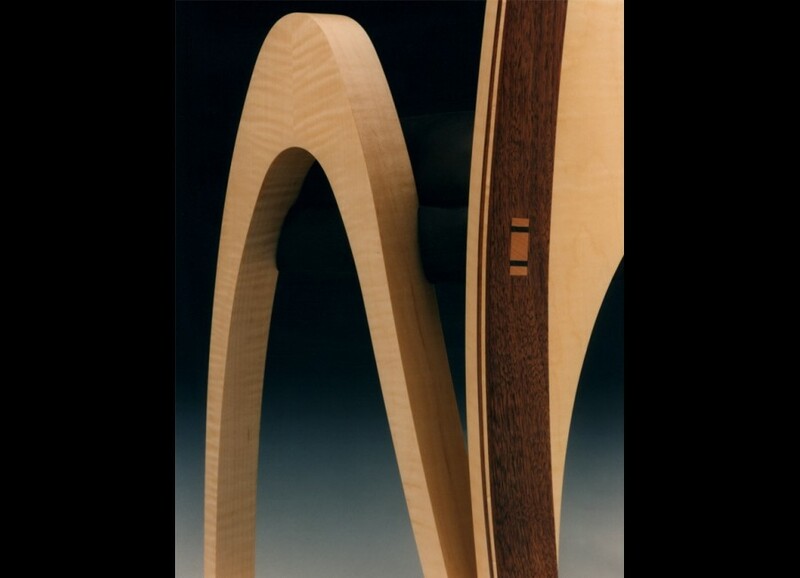 Dining Chair 20 - Walnut. 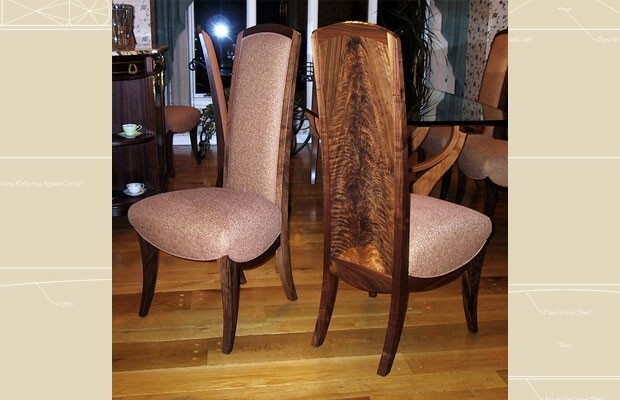 Dining Chair 30 - Crotch Walnut. 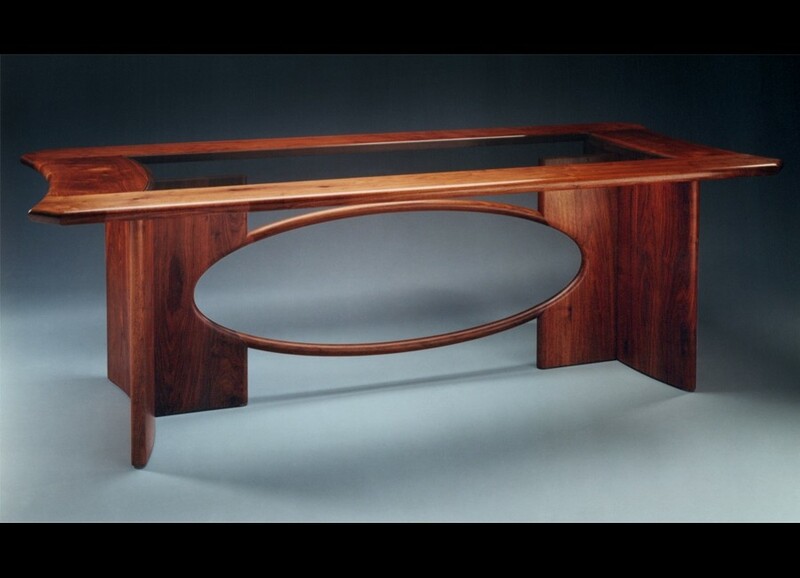 Figured Cherry, Walnut and Ebonized Walnut. 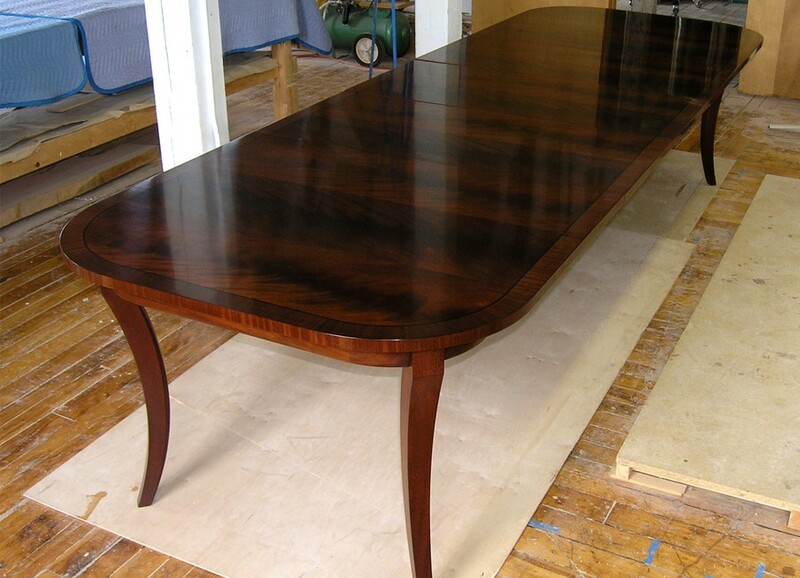 Dining Table 20 - Walnut with glass insert, Extends 3' with Curly Maple extensions. 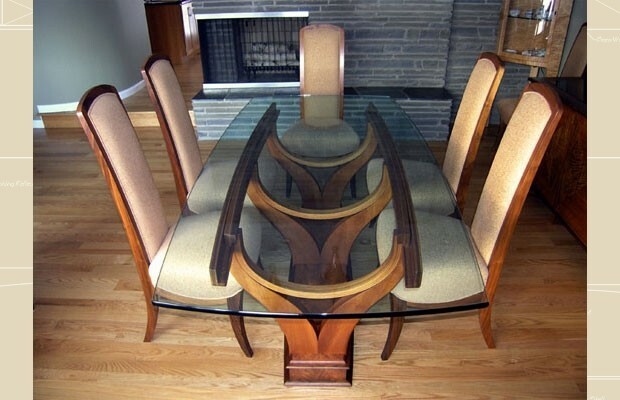 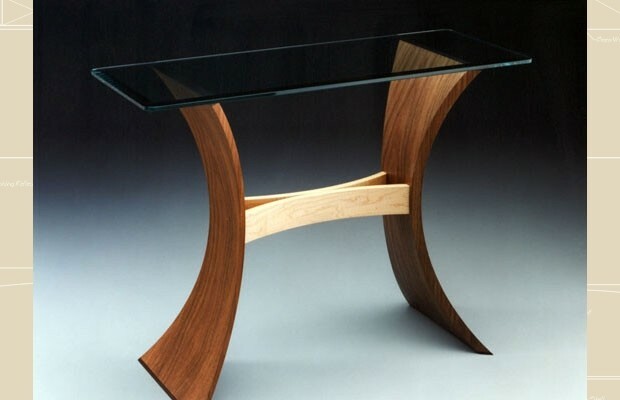 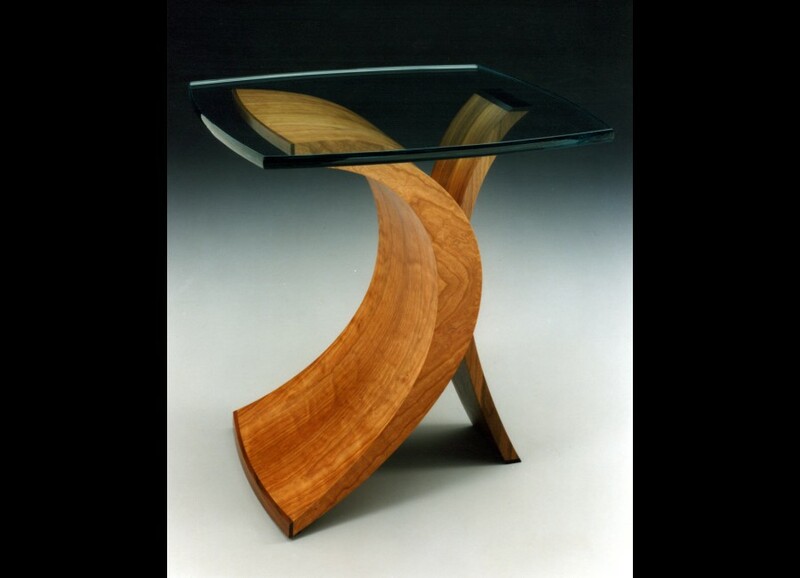 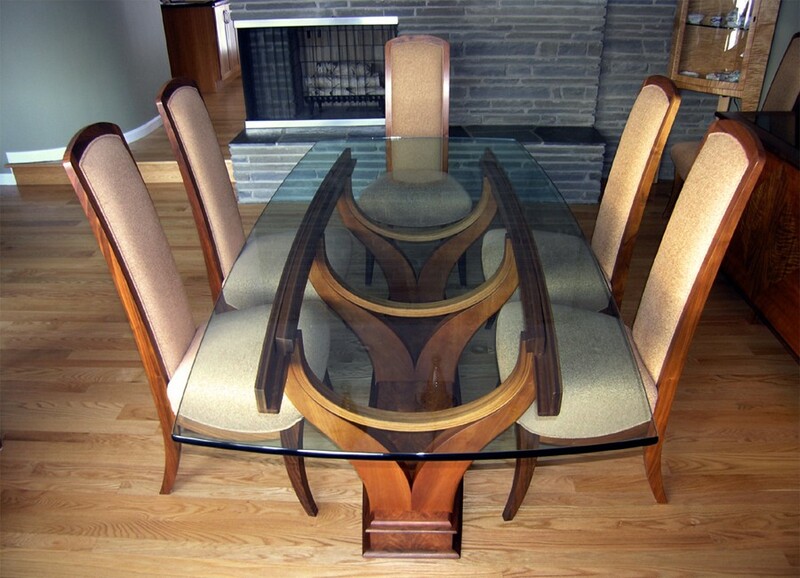 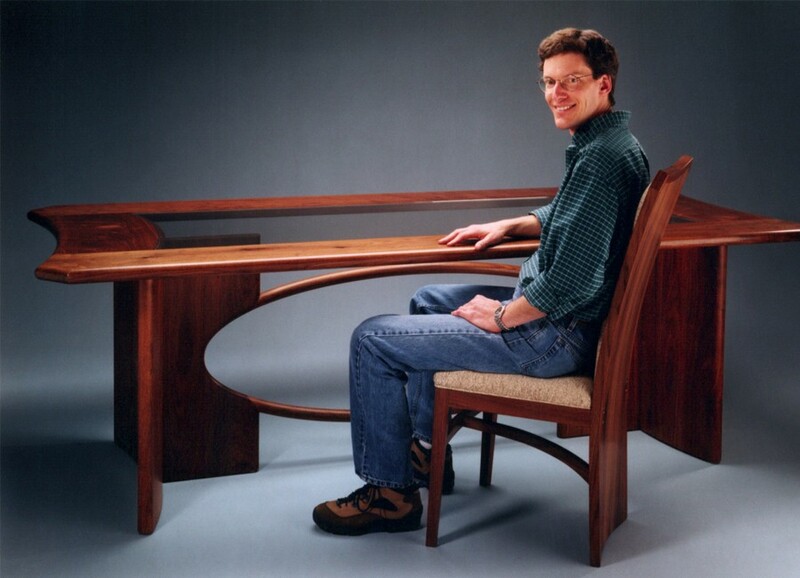 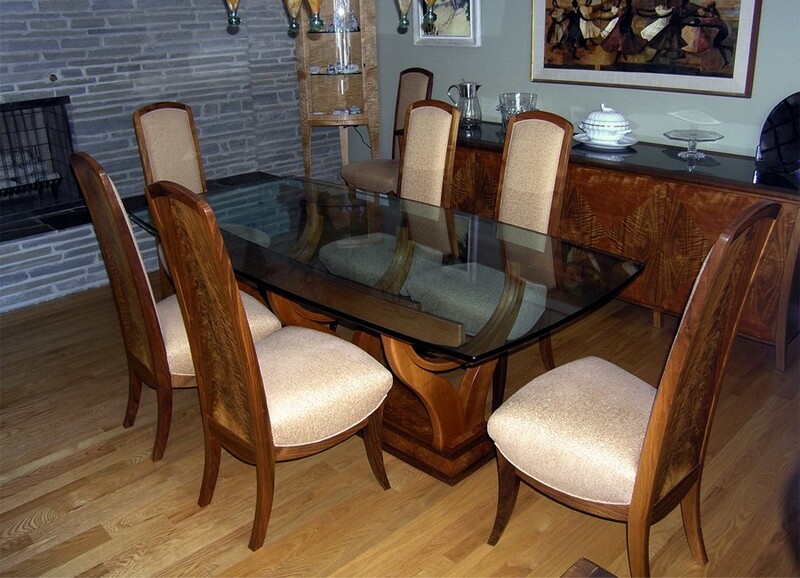 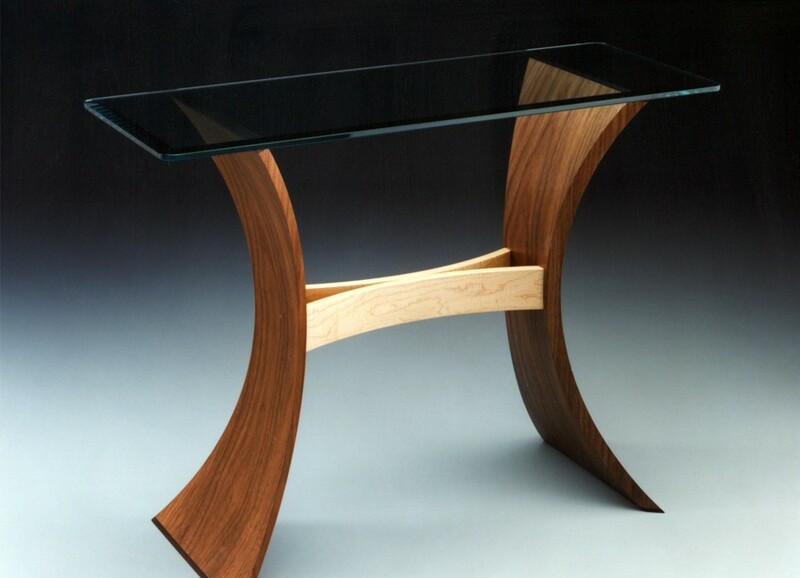 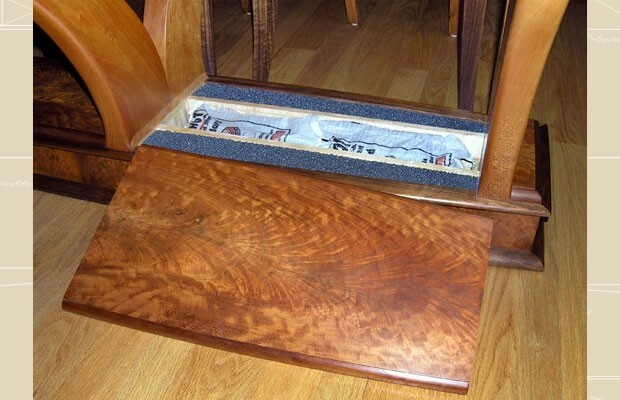 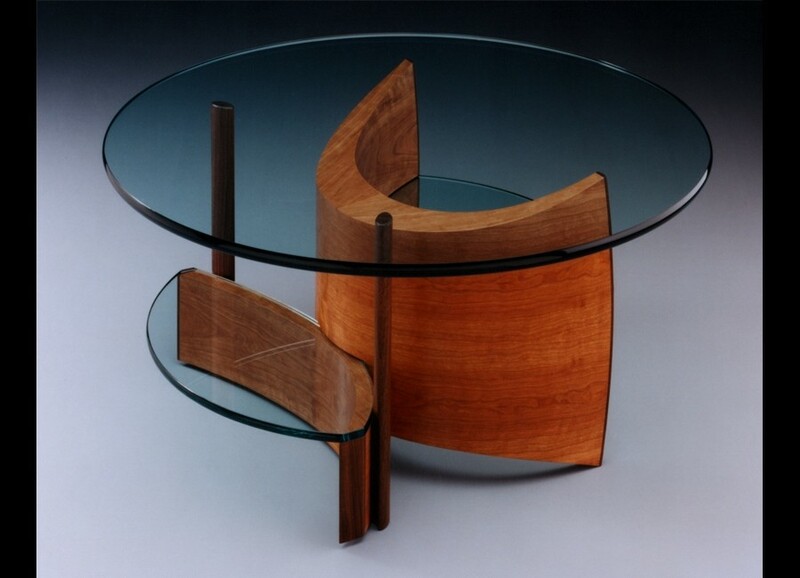 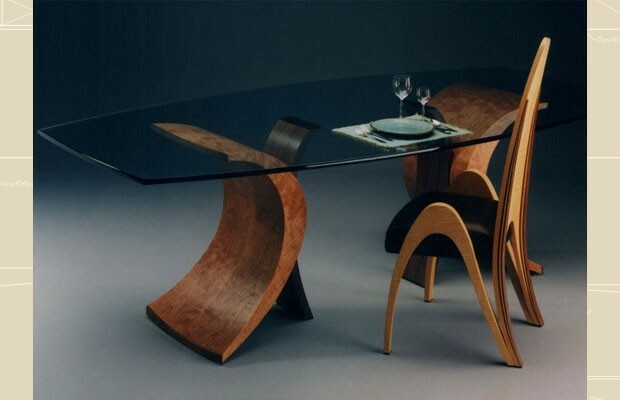 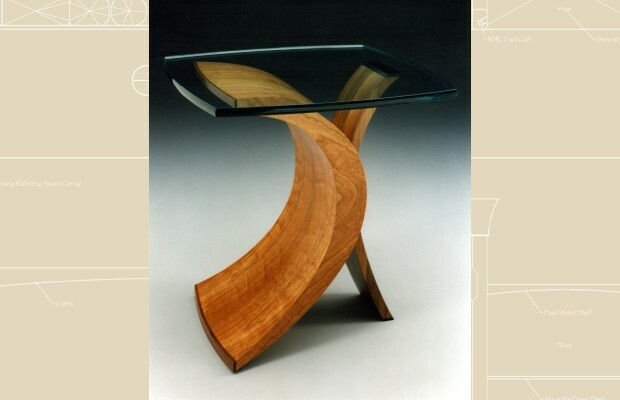 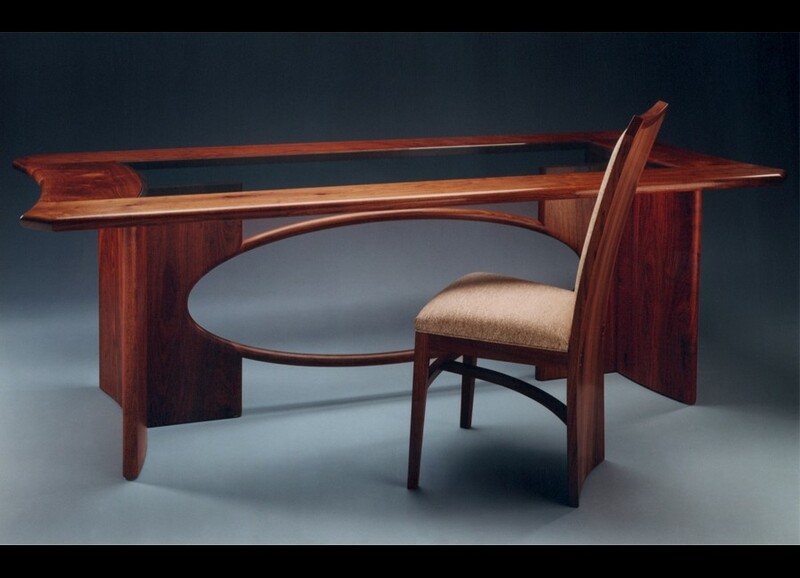 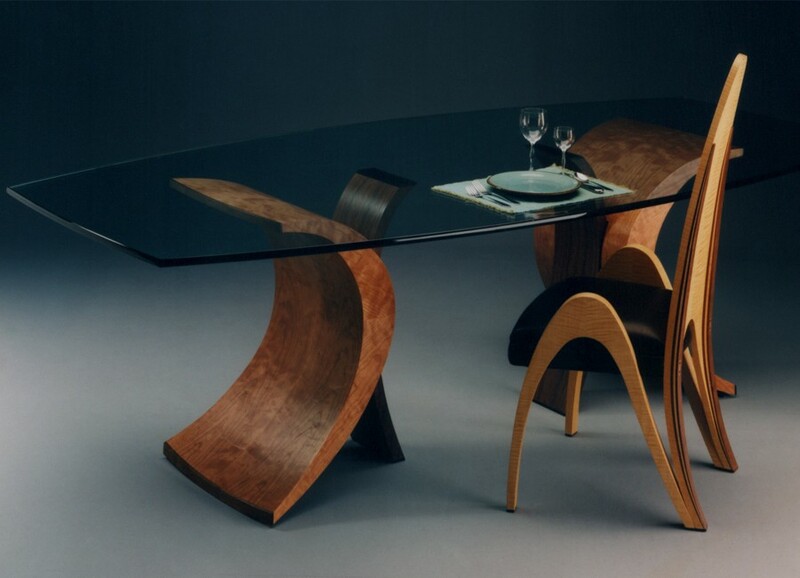 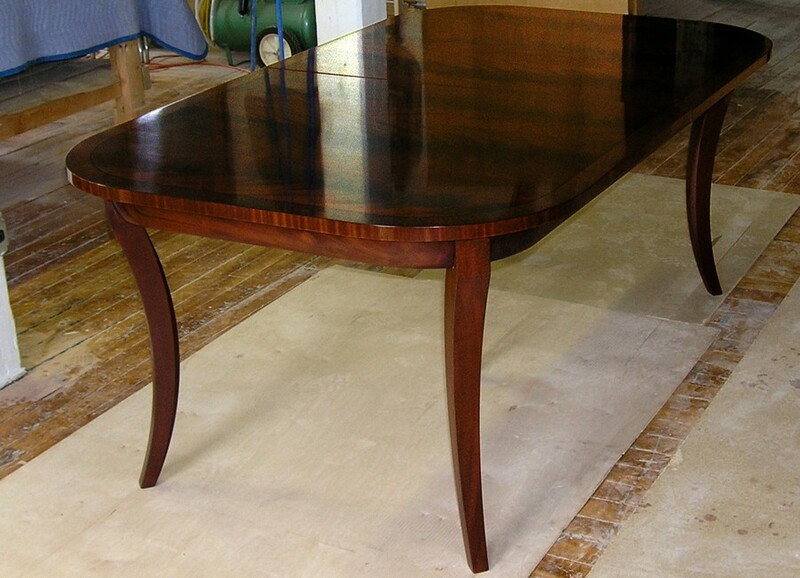 Dining Table 30 — Cherry, Walnut, Crotch Cherry with ¾" glass top, Extends 3' with glass extensions. 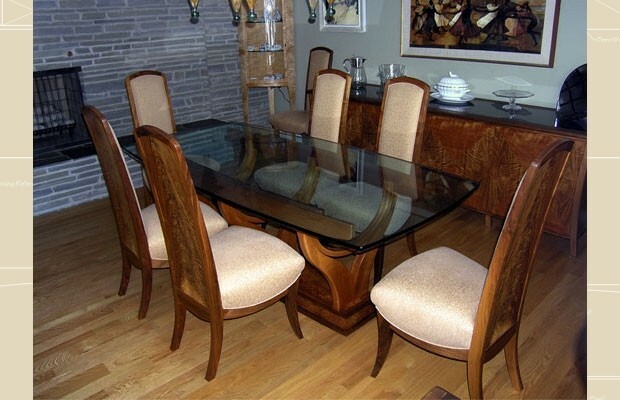 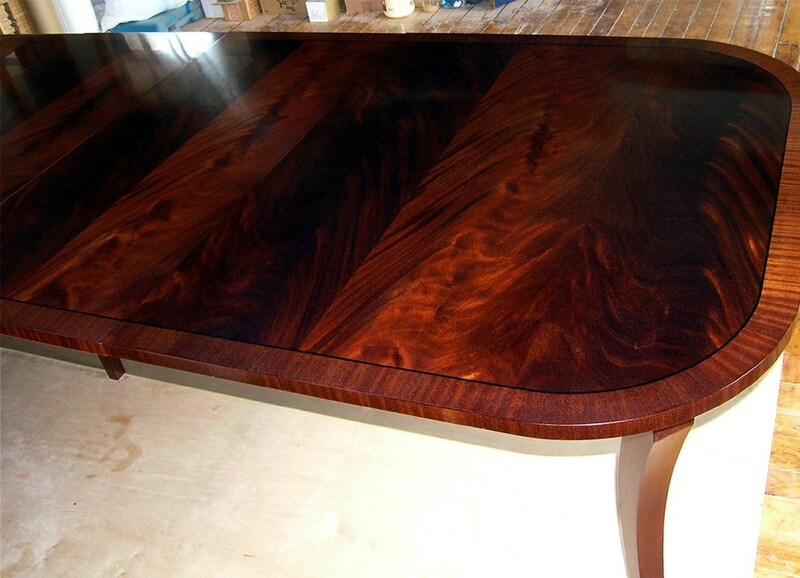 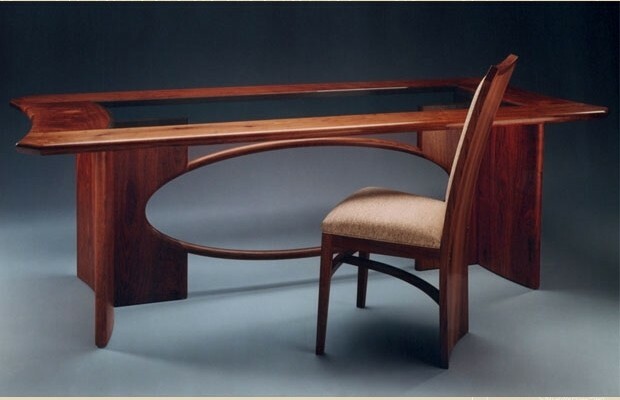 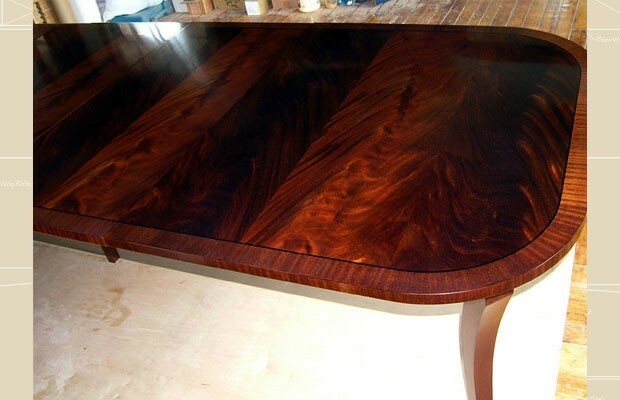 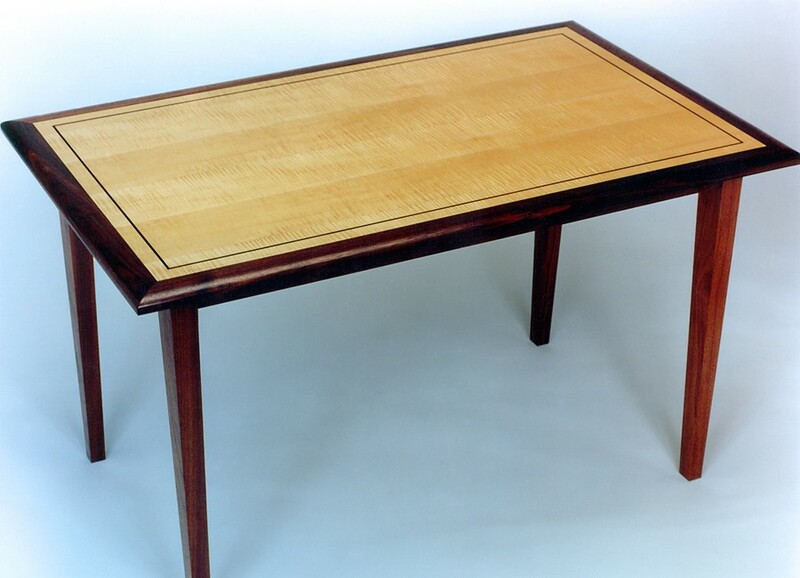 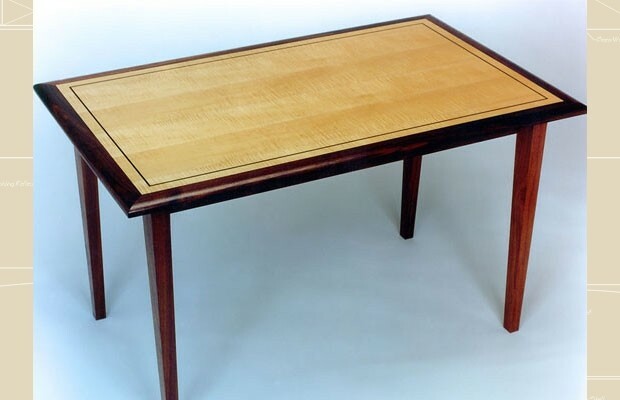 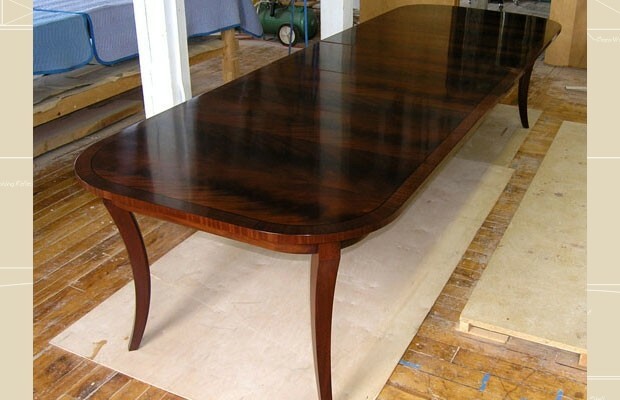 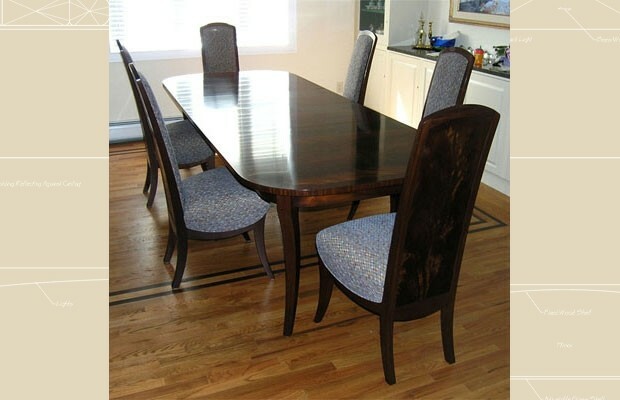 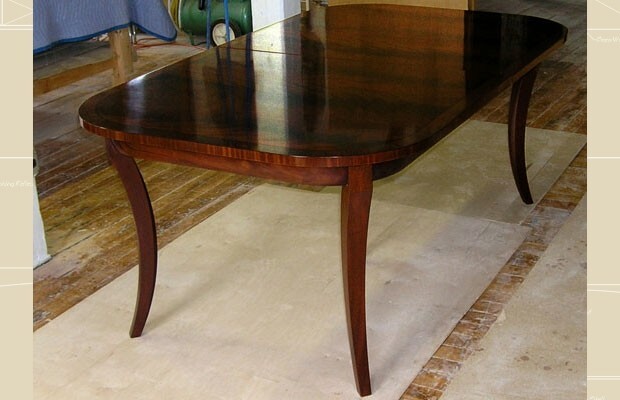 Formal Dining Table — Mahogany, Sapele, Crotch Mahogany, Ebonized Walnut. 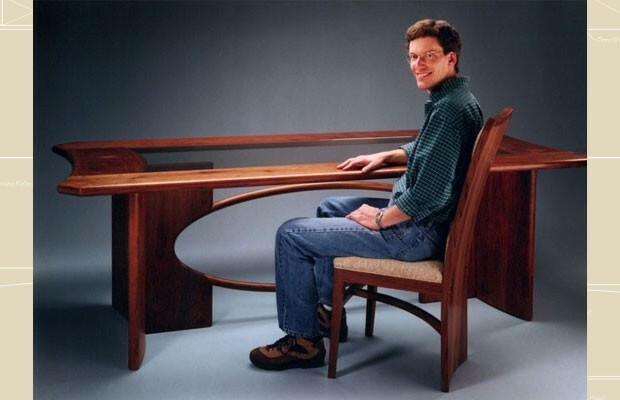 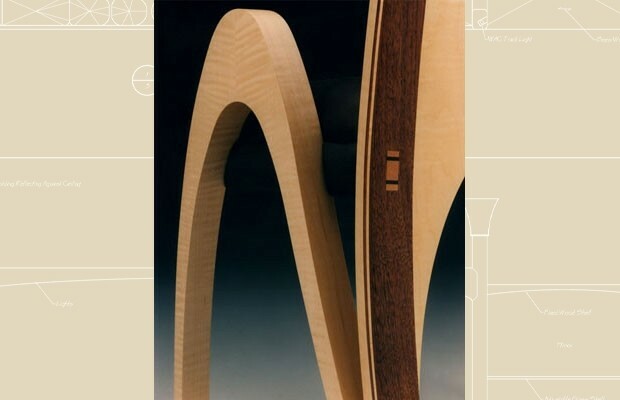 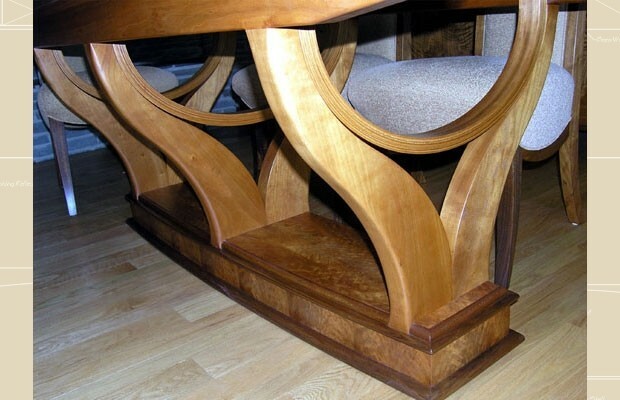 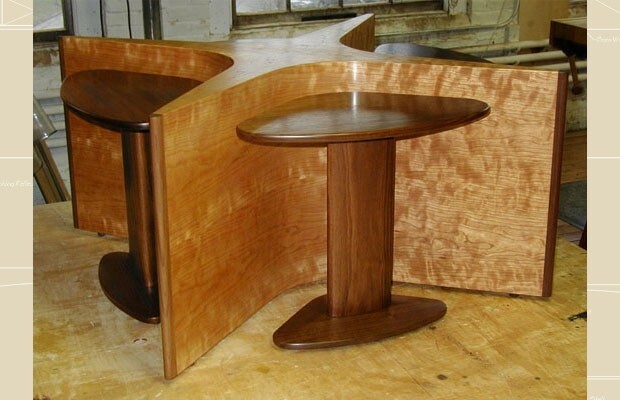 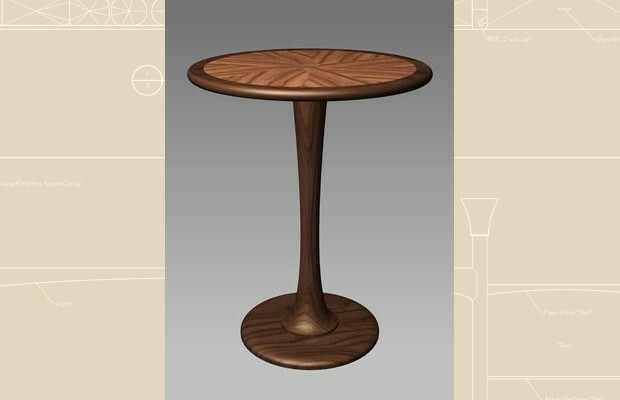 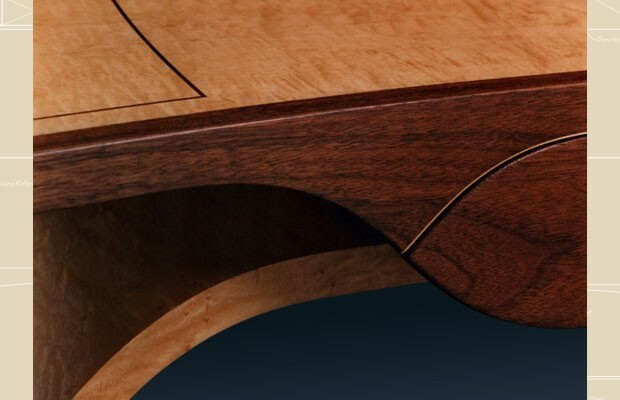 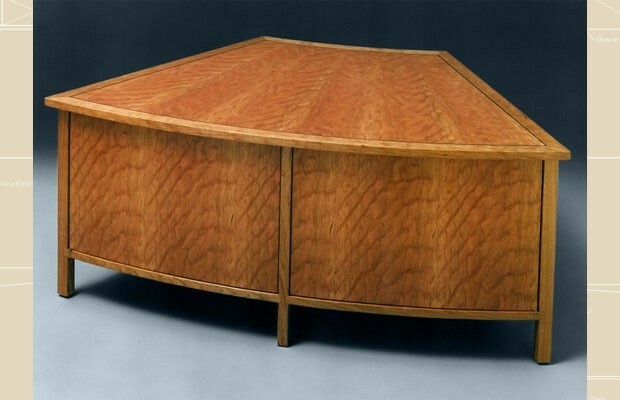 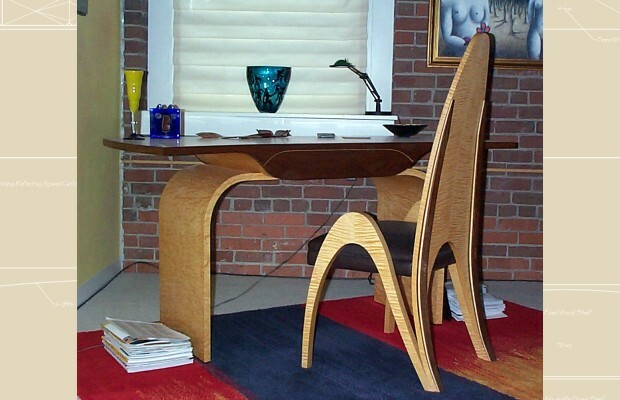 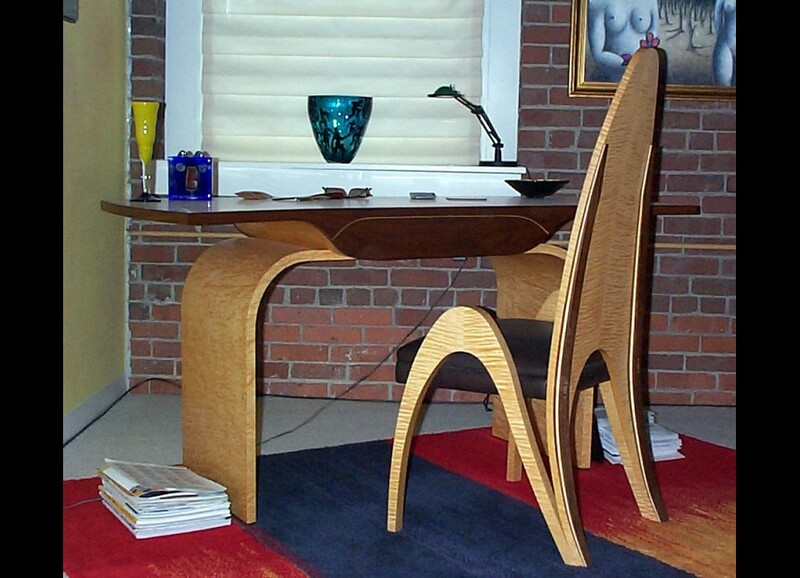 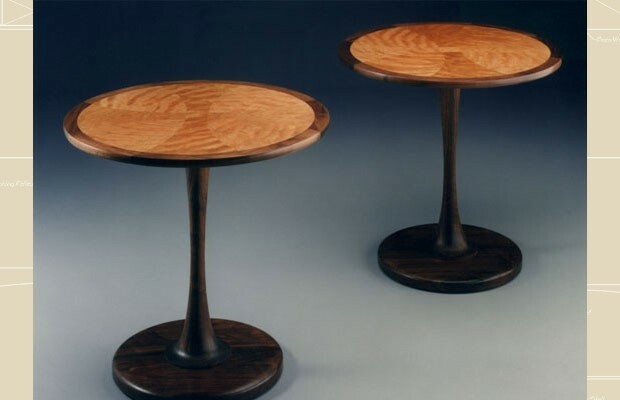 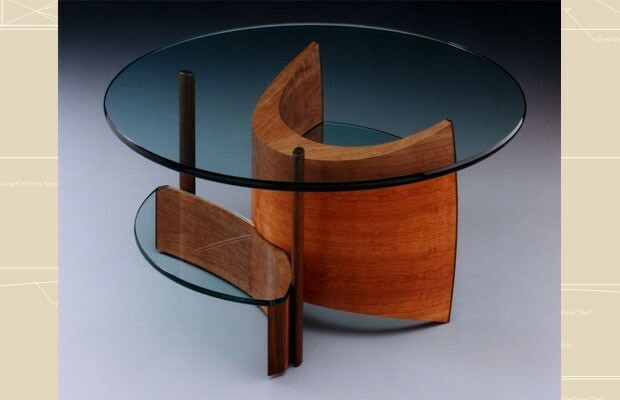 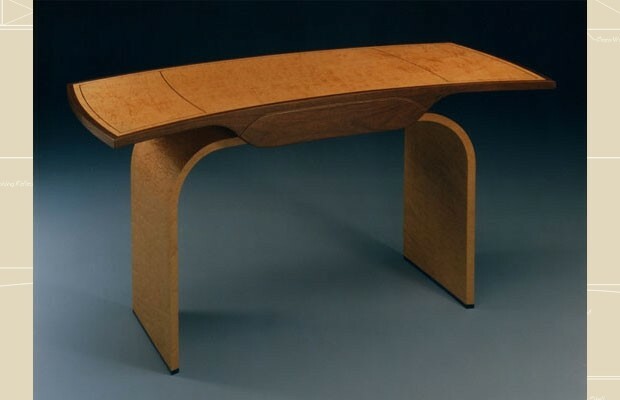 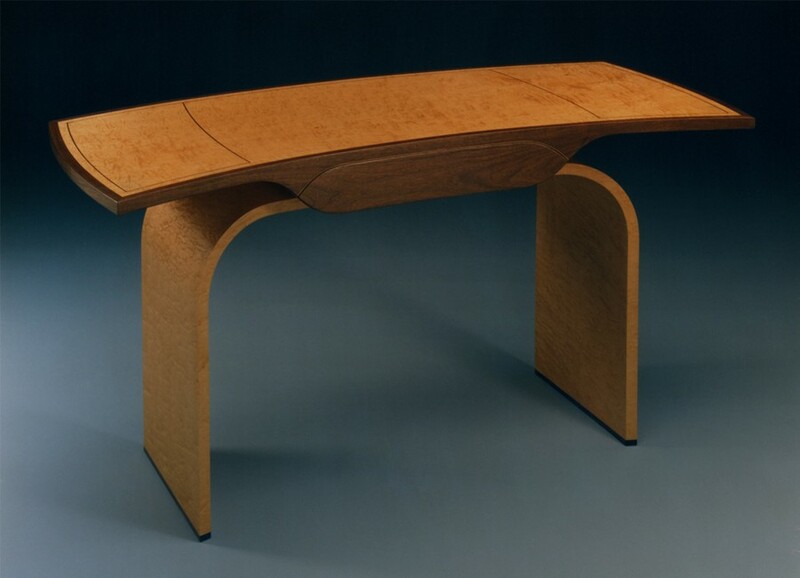 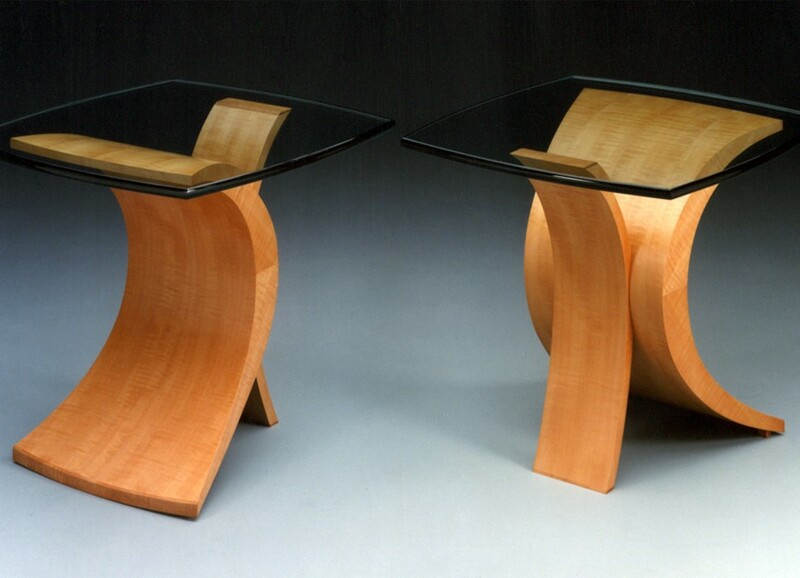 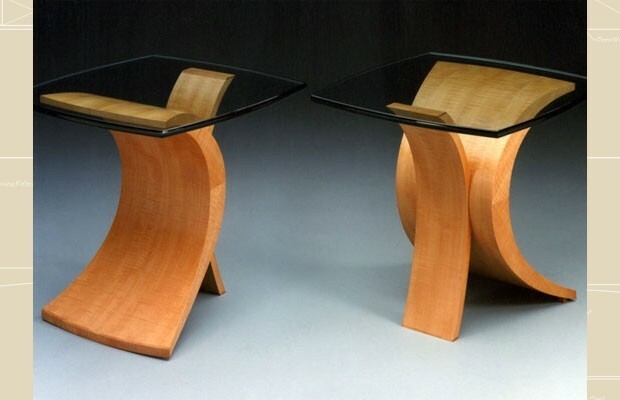 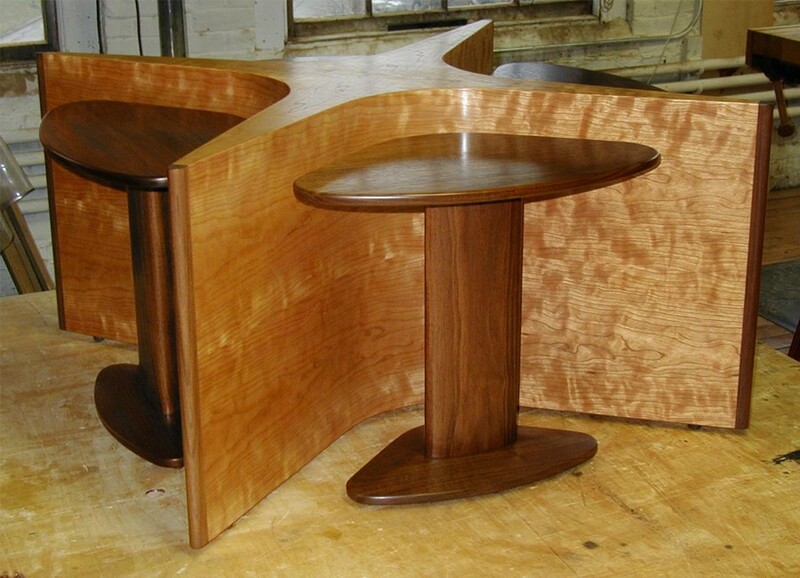 Round End Table Rendering — Built and Rendered on the computer in Cherry and Walnut and then built in real life. 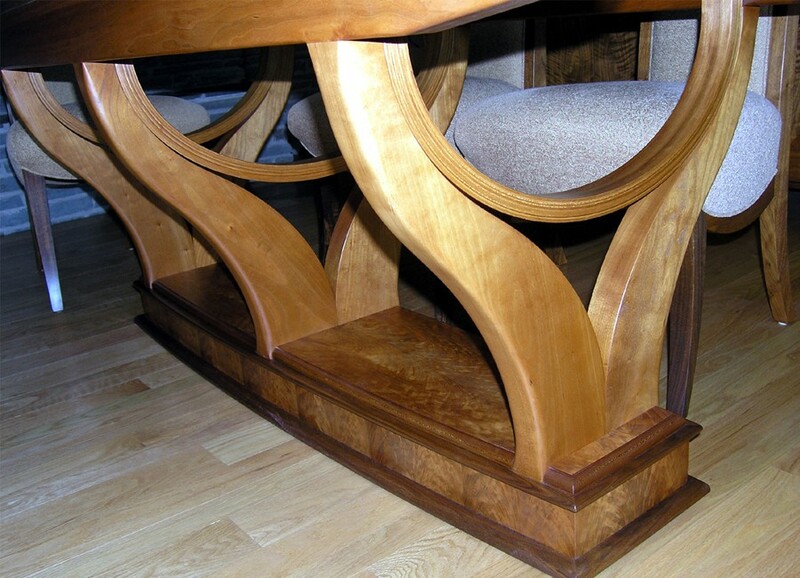 Click on image to see finished piece. 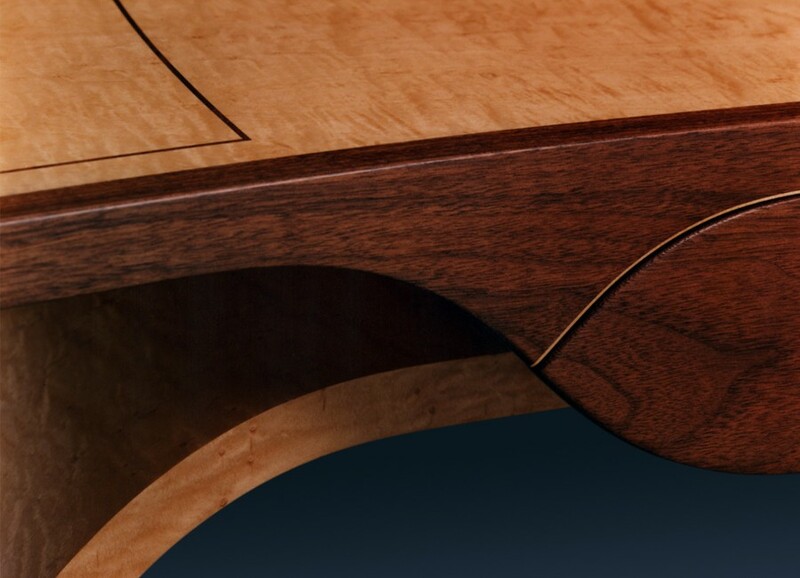 Curly Maple, Walnut and Ebonized Walnut. 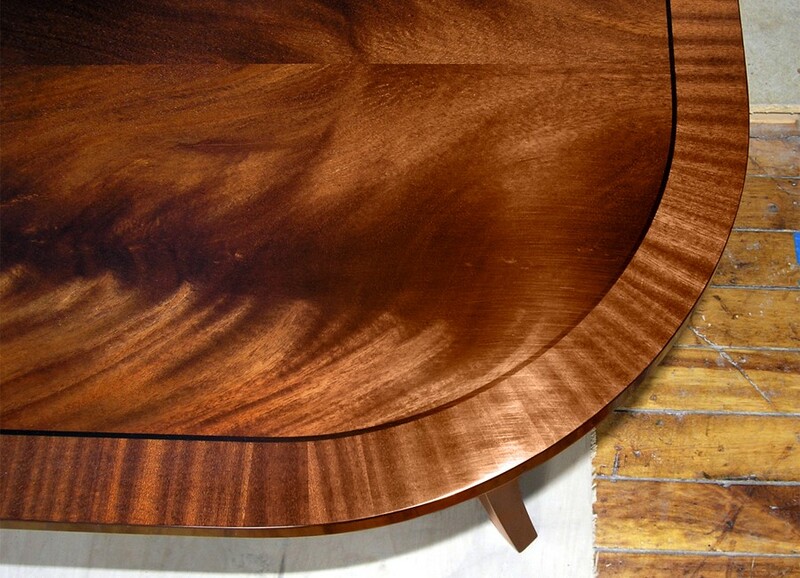 Bird's eye Maple with Walnut.